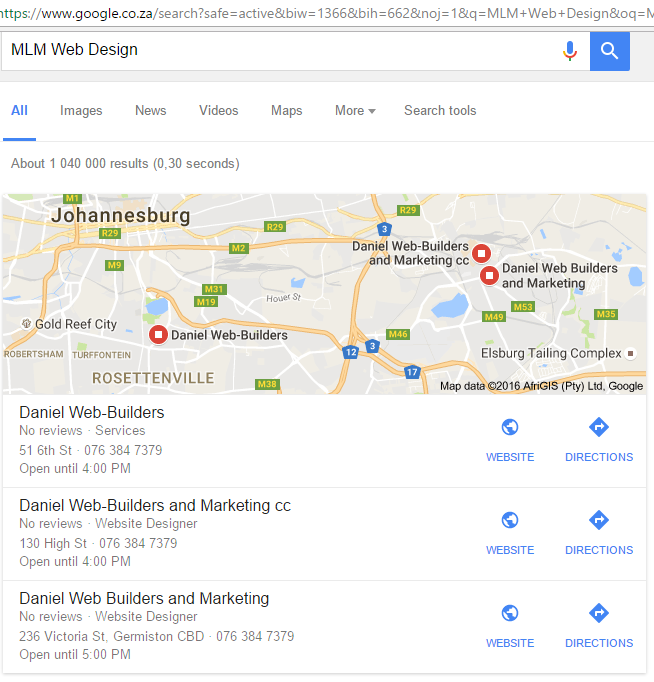 Daniel Web-Builders and Marketing cc has qualified SEO Experts and ready to optimize your website and increase the ranking of your website. Your specific landing page can be optimized according to your desired keywords. Our Seo Panel Tools automatically display all kind of Tips to make sure that your website has a good quality landing page. We have turned SEO Service into an active marketing strategy, search engine optimization will really be a success to generate Leads. >>>Are You Still Not Convinced? 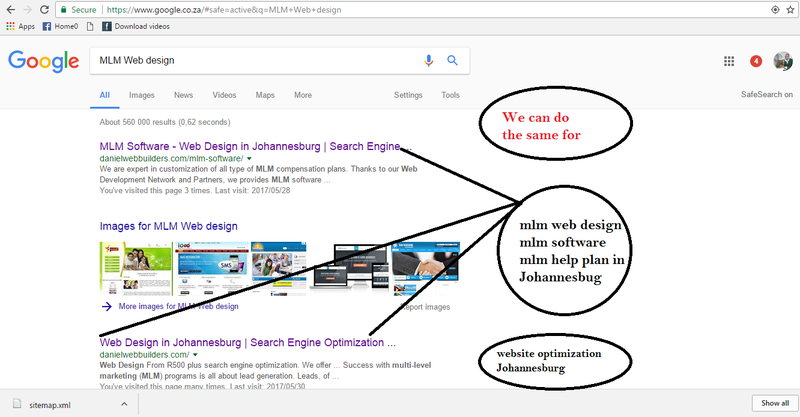 Check Us on Google ( Top Ten Pages ) using the following keywords / Key phrases, you will see Daniel Web-Builders and Marketing on page one or between page one and ten.